What a beautiful soufflé of euphemism! In the upside-down fever dream of right-wing fossil fuel worship, stacking a board that helps protect citizens from industrial pollution with industry interests is only fair. 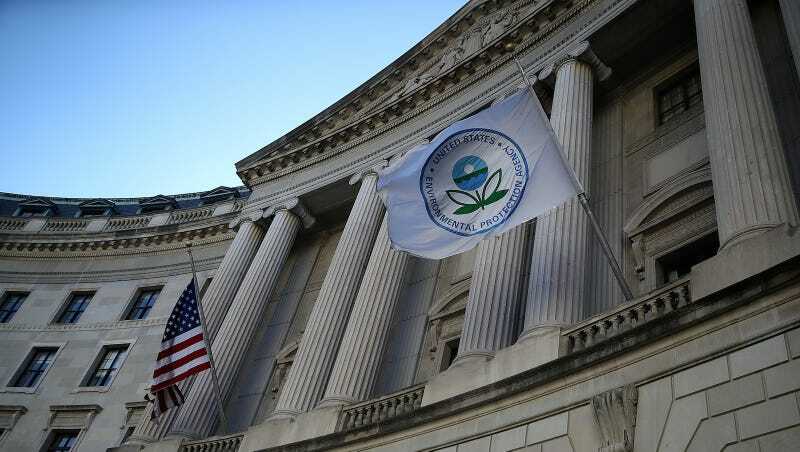 Freire told the Washington Post that the EPA might consider industry scientific experts for these positions as long as there are not conflicts of interest. And considering that our current EPA chief, while Oklahoma AG, copied and pasted a letter written by an oil company and sent it under state letterhead to the EPA, it certainly will be interesting to discover what these people consider a conflict of interest, won’t it? The Washington Post reports that the board members had previously been told they would stay on for another term, and were surprised to discover that their terms were not renewed. “I’ve never heard of any circumstance where someone didn’t serve two consecutive terms,” Robert Richardson, an ecological economist and associate professor at Michigan State University’s Department of Community Sustainability, told the Post. “We’re not going to rubber-stamp the last administration’s appointees. Instead, they should participate in the same open competitive process as the rest of the applicant pool,” Freire told the Post. Pruitt’s chief of staff Ryan Jackson told the Post that members could reapply for their positions. “I’m not quite sure why some EPA career staff simply get angry by us opening up the process,” he said. “It seems unprofessional to me.” Jackson is the former chief of staff for Congress’s loudest climate change denier, Sen. James Inhofe, who’s best known for hurling a snowball onto the Senate floor to prove that global warming is a hoax. A larger review board, the Scientific Advisory Panel, is facing an overwhelming 84 percent budget cut, according to a budget document obtained by the Post last month. This is because of “an anticipated lower number of peer reviews,” according to the document. The EPA’s climate change website is currently being updated “to reflect EPA’s priorities under the leadership of President Trump and Administrator Pruitt”—the city of Chicago has republished the information on its own website—and a page meant to help educate kids on climate change has become mysteriously difficult to locate.